Since 2008, our residential movers have built a solid reputation for excellent service one mile at a time. Upline Moving offers custom moving plans that allow you to choose just the services you need, but for those who want us to handle every detail, we offer full service moving. Since 2008, our family-owned Bay Area moving company has provided award-winning residential local and long-distance moving services. 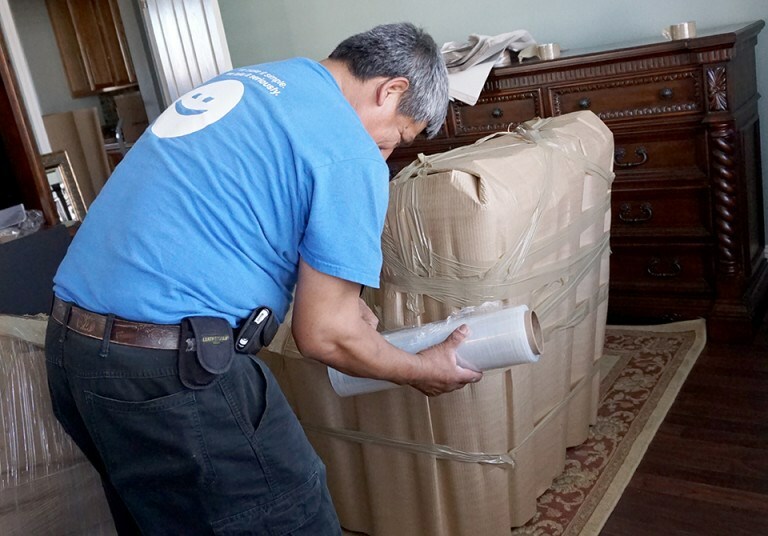 Our combination of highly skilled movers, guaranteed pricing, and courteous service has helped us to stand out from the competition. As a result, we’ve earned many industry awards including San Francisco Magazine’s “Best Mover for 2017.” Don’t stress about your upcoming move—Upline Moving’s full service movers will ensure you enjoy a hassle-free relocation! Our full service moving is so complete that your part of the job is done once you hire us. Our experienced, courteous team will change the way you feel about moving! On every move, our goal is to provide 100% customer satisfaction, and our residential movers do whatever it takes to make that happen. That commitment has earned us long-standing accreditation with the Better Business Bureau and an impressive repeat business rate of 70%. Contact us and see the Upline Moving difference for yourself. Call today, or fill out our online form to request your free, accurate moving quote.